If you are a fan and follower of sports, then you know that football season is upon us once again, and street banner hardware from BannerFlex is here to make sure others know the same. With just a few games left in preseason for a lot of teams, BannerFlex can get your city in shape for the regular season and advertise your games in a beautiful and eye-catching way. If you’re trying to get the attention of passerby’s, then your street banner hardware needs to grab people’s gaze for the best results. A custom design on your banner is best to give team being advertised a unique and interesting look, but it still needs to be close enough to their standard logo, so people know what the banner is for. The bracket hardware provided by BannerFlex will keep your banner secured through the whole season, while your design continues to draw people in. When people walking through your town or city, your banners can remind them of the coming football season and make them ready for the excitement of every game. Whether it’s the day of and they’re tailgating or it’s in the weeks leading up to the first kickoff, the banners and hardware from BannerFlex can get people pumped and ready for some classic football action. No matter where you’re advertising for your team, the street banner hardware at BannerFlex will hold strong. 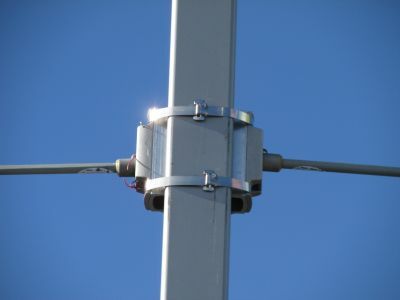 The bracket accessories and flexible arms that your banners sit on have been tested to sustain high winds and extreme weather conditions. Even if issues arise, each banner bracket comes with a 12-year warranty, guaranteeing you will be able to use our banner bracket hardware for years to come. 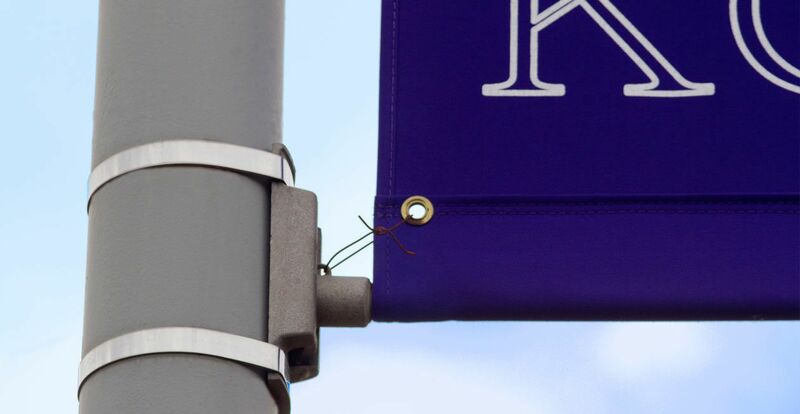 Used on college campuses, downtown shopping districts, and more, the brackets from BannerFlex are the best choice of light pole banner hardware on the market. With trustworthy, quality products, you can be sure that BannerFlex has a solution for you.